Tens of millions of Americans were outraged to discover that, in his waning months in office, President Barack Obama and sycophants loyal to him including his nationals security advisor, Susan Rice, politicized U.S. intelligence services to conduct untoward and highly improper surveillance on members of then-GOP presidential nominee Donald J. Trump’s campaign team. During the course of those operations, Obama loosened rules regarding the sharing of intelligence data, allowing it to be spread over many more agencies and seen by many more people, virtually guaranteeing that sensitive information would be leaked. At the same time, Rice was busy unmasking Team Trump members right and left, even ordering U.S. intelligence agencies to produce detailed documents – “spreadsheets” – on Trump team members. “During his final year in office, President Obama’s team significantly expanded efforts to search National Security Agency intercepts for information about Americans, distributing thousands of intelligence reports across government with the unredacted names of U.S. residents during the midst of a divisive 2016 presidential election,” the site reported. “The data, made available this week by the Office of the Director of National Intelligence, provides the clearest evidence to date of how information accidentally collected by the NSA overseas about Americans was subsequently searched and disseminated after President Obama loosened privacy protections to make such sharing easier in 2011 in the name of national security. A court affirmed his order,” the site continued. The court in question is the FISA – Foreign Intelligence Surveillance Act – court, which convenes in secret and hears all the government’s requests for electronic/signals intelligence, almost always involving foreign subjects. The court has regularly been criticized by civil liberties organizations because there is no oversight and because it approves nearly every request the federal government makes. Prior to Obama changing the rules six years ago, the criteria for unmasking American citizens during intelligence operations was done only if intelligence agencies believed that person was acting as an agent of a foreign government. Otherwise, it was against federal law to spy on Americans directly. In recent testimony before the Senate Judiciary Committee, FBI Director James Comey tried to reinforce that restriction, citing Section 702 of the Foreign Intelligence Surveillance Act, which was initially passed in 1978 but has been revised since. “702 is a critical tool to protect this country and the way it works is we are allowed to conduct surveillance again, under the supervision of the Foreign Intelligence Surveillance Court on non-U.S. persons who are outside the United States if they’re using American infrastructure; an email system in the United States, a phone system in the United States. So it doesn’t involve U.S. persons and doesn’t involve activity in the United States,” he said. 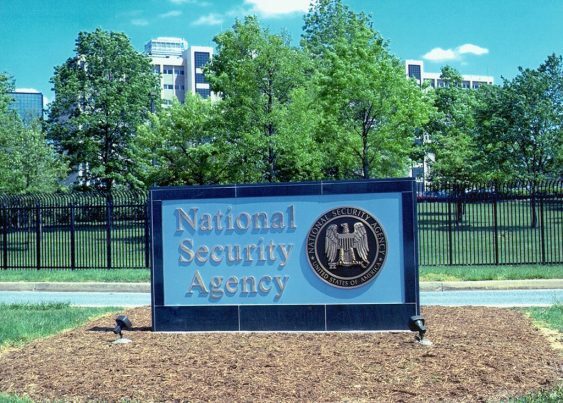 A federal judge in Washington State has ruled twice – once in 2013 and once in 2015 – that such NSA collection on American citizens is a clear violation of the Fourth Amendment’s privacy protections. Right now, that case is making its way through the appeals process. But clearly Congress should be pulling out all the stops to investigate this Obama era practice, find out exactly how much of it was legitimate and how much of it politically motivated, and make appropriate legal recommendations to the Justice Department should that become necessary. Abusing our intelligence apparatus for petty political gain was what the FISA law was supposed to prevent.